What is bitter aloe? Native to Africa, Aloe ferox (also known as cape aloe or, commercially, as bitter aloe) has been harvested as a medicinal plant for over 200 years. Bitter aloe is among the tallest of the more than 400 aloe species and can be found in the Cape Region of South Africa. Compared to the more widely known Aloe vera, Aloe ferox produces 20 times more bitter sap and has higher nutrient concentrations. It is most notable, however, for its renowned natural colon cleansing benefits. As an effective natural laxative and colon cleanser, it is probably the strongest of the colon stimulating herbs. Aloe bitters drained from the cut leaves of the plant are used mainly for laxative purposes - and, it seems that’s for good reason. A 2004 study looking into the effects of Aloe ferox on irritable bowel syndrome found that 30% of the participants on the aloe showed either clinical remission or improvement. Only 1% of participants on the placebo exhibited the same results. Based on this study, it is thought that taking aloe for four weeks could reduce symptoms of IBS. It’s probably no surprise that you’ll find it as an ingredient in Jon Barron’s Colon Corrective formula. Like most medicinal herbs, Aloe ferox has a host of other health benefits as well. Numerous scientific studies on aloe gel are demonstrating its analgesic, anti-inflammatory, wound healing, immune modulating, and anti-tumor activities as well as antiviral, antibacterial, antifungal, and antiviral properties. Its juice has been shown to lower cholesterol and triglycerides while demonstrating anti-diabetic activity. Laboratory experiments have also shown that bitter aloe stimulates the growth not only of lymphocytes, which are an important part of the immunological defense mechanisms, but also of fibroblastic cells in skin and the cells that make up connective tissues and can help soothe and heal tissue in the intestinal tract as well. You may also find it in cosmetics, skin care products, and even in beverages. Aloe ferox may also provide some allergy relief. In an animal study that was evaluating the effects of aloe, symptoms of inflammation and nasal mucus were significantly relieved. More research needs to be done; however, researchers see promise in this area. In other animal studies, Aloe ferox has shown promise as a wound healer as well. A 2008 study published in the Journal of Ethnopharmacology comparing compounds from Aloe ferox with compounds from other aloe genera on wound healing indicated that it exhibited therapeutic properties, aided in the healing process, and inhibited some microbial growth. This may be because of its similarity to Aloe vera. The glycoproteins in the gel provide wound healing benefits, and because Aloe ferox gel is moist and sticky, it can help insulate and hydrate wounds, which helps heal them. You can find aloe ferox in both capsule and crystal form. Today, however, while it is not yet threatened with global extinction, the species has become extinct in several localities where harvesting and urban expansion pose a threat. To combat this threat, Aloe ferox is currently listed on Appendix II of the Convention on International Trade in Endangered Species (CITES), and a number of the plants can be found in protected areas within South Africa. Nevertheless, limited amounts of Aloe ferox powder from sustainably farmed plants can be (and are) legally exported (mostly to the European Union) and then re-exported and used in nutritional products worldwide. This is where Jon Barron gets the Aloe ferox that he uses in his formulas. 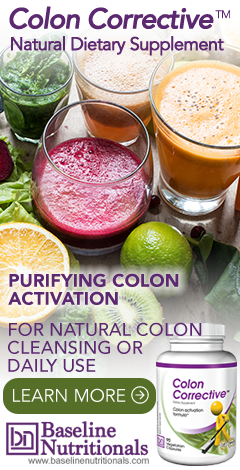 Learn more about natural colon detoxing. I'm hoping that there's people in all regions trying to establish a seedbank population large enough to defer some of the illegal demand for this product into other (USA for example) sources instead. I'm not exactly in a state well-known as great for growing Aloes. Colorado just gets too cold in the winter to let them grow in inconvenient-to-move but deep outdoor soil. Given that Aloe is notoriously hard to get to bolt (produce seed) without some special methods, this is going to be a challenge, to say the least. Without the deep soil, they just plain don't get big enough to bloom! Is it safe to use bitter aloe to get your little one to stop breastfeeding? My doc recommended it but based on your article, im not sure if it is safe or not. For obvious legal reasons, we cannot diagnose or prescribe for specific medical conditions—merely provide information. We always recommend to talk to your doctor, so he could tell you more about dosage amounts for safety. By the way, we are not sure what part in the article made you concerned. It’s not recommended to use aloe during pregnancy due as its laxative action, which can potentially cause an increased risk of uterine contractions. Also, any laxative product made with aloe, such as those that contain aloin and barbaloin, can lower electrolyte levels and cause drops in blood sugar. Your article about Cape Aloe mentions the bitter part being good for healing the intestinal area. In all of the Aloes I know of, Aloin is the bitter part and is actually dangerous and even lethal over time if ingested. It almost killed my husband from just the traces of it in Aloe juice because drinking gallon a day. Is the bitter part in Cape Aloe different? Once ingested, aloin increases peristaltic contractions in the colon, which induces bowel movements. Aloin also prevents the colon from re-absorbing water from the gastrointestinal tract, which leads to softer stools. This effect is caused by aloin’s opening of chloride channels of the colonic membrane. In higher doses, these effects may lead to electrolyte imbalance, diarrhea, and abdominal pain, which are common side-effects of the drug. Because aloin can potentially cause uterine contractions, pregnant women should avoid ingesting aloe products. As for what happened to your husband, it’s probably worth quoting directly from something Jon Barron has said many times over the years, “Too much of a good thing is bad. Too much of any food or supplement is bad. If you over indulge in something, no matter how beneficial it is, it will result in illness, not health." I have been surfing on-line greater than 3 hours as of late, but I never found any interesting article like yours. It's lovely value sufficient for me. In my view, if all web owners and bloggers made just right content material as you did, the internet will likely be much more helpful than ever before. I would appreciate any feedback!!! I began using Cape Aloes around 1993. I try never to be without a couple bottles of it at all times so that I do not run out. I take 2 tablets a day. I am 66. I am never sick. I have a yearly physical performed and the comments always are to the nature of: "You are so healthy. Your readings are outstanding." I take no prescription medicine. I exercise regularly - water aerobics 2 hrs/day, 3 days a week, and I am a clogger. I practice clogging for at least 1 hr a day, 5 days a week. My skin is healthy. I have no wrinkles on my face. I attribute all these good points totally to taking the Cape Aloes daily. I tell anyone who will listen to me: "Take Cape Aloes. It will change your life and improve your health." Could I take this for constipation on a regular basis with no side effects? Also what are the pills that you take everyday? I am from South Africa and we grow up with Aloe Vera in all forms. The crystals are taken regularly to prevent parasites and the ointment have multimal uses. We give it to our kids from very young as here in the semi tropics al kind of insect can be found. My son has secle cell anemia and are not allowed any anti maleria medicine. He has been on the crystals almost from birth as it is a good insect repellent. Mossies do not like the bitter taste in the blood. It is very good for improving the immune system. I am 66 and look 15:years younger due to Aloe ferox. I have no arthiritis and still go hiking with my kids. This is the only suppliment I take. No need for any other. Cape aloe (Aloe ferox) is native to Africa and is renowned for its remarkable natural colon cleansing benefits. The main active ingredient, the anthraquinone, aloe-emodin, works as an intestinal anti-inflammatory and effective natural laxative and colon cleanser. Unlike chemical laxatives, which are harsh and direct, the action of aloe is gentler and indirect—in fact, mediated--which prevents the body from becoming “used” to it. Specifically, aloin, an anthranoid glycosides derivative, is metabolized by the colonic flora to reactive aloe-emodin, which is responsible for the purgative activity. This compound possibly exerts its action by disturbing the equilibrium between the absorption of water from the intestinal lumen via an active sodium transport and the secretion of water into the lumen by a prostaglandin-dependent mechanism. In fact, people have used aloe formulas for years at a time, without any indication of tolerance. The one thing to keep in mind is that if you use aloe as an intestinal stimulator, you never want to stop using it abruptly as that can cause constipation. Remember, your intestinal tract is very sensitive to any changes. For some people, simply taking a long trip is enough to initiate constipation. So, when you want to stop using aloe as a stimulant, wean yourself over several days depending on how many capsules you were using--steadily reducing your dosage over a number of days. I was fortunate to find this product by accident. I have had chronic constipation as far back as I can remember. I remember as a little girl of 7 or 8 I use to strain. I have been taking Aloe Ferox for some time but my doctor says that is why I am constipated because I am using a stimulant instead of of allowing my bowels to move naturally. So he convinced me to take Metamucil for 2 weeks. I tell you it was 2 weeks of HELL. I strained and strained until the veins popped out in my temples. I was so blocked up I said forget this I went back on Aloe Ferox and the next day I started moving my bowels and I am experiencing a lot of stools, you can imagine of 2 weeks stored up in the intestines, all the toxins just sitting there. I was also told I should stop these stimulants because my intestines are dark in color. I would rather have them dark in color than have the toxins sitting there in my gut. NO THANK YOU!!!!! Thanks for sharing your experience. And that’s why Aloe ferox is one of the key in ingredients in Jon Barron’s colon corrective formula. I have CREST, a rare autoimmonodeficiency disease, and RA, asthma, Copd, Reynauds .my liver, heart, lungs prone to infections. Nearlyvdiedvof pneumonia 12 months ago. Sick all the time. Diarrhea 8 months and on horrible meds with horrible side effects and even hallucinations. Started ingesting aloe barbedensis in my banana, strawberry smoothies for one year now. I am no longstanding meds. Have not been sick in 6 months. Relief from arthritic pain and joint deformation. More energy. Wrinkles on face have disappeared, I just turned 52. I apply ALOE to face and body, like lotion. I drink it every day in my shakes. ALOE saved my life. I now grow ALOE and have approximately 100 plants! I feel so much better. Look better, too!